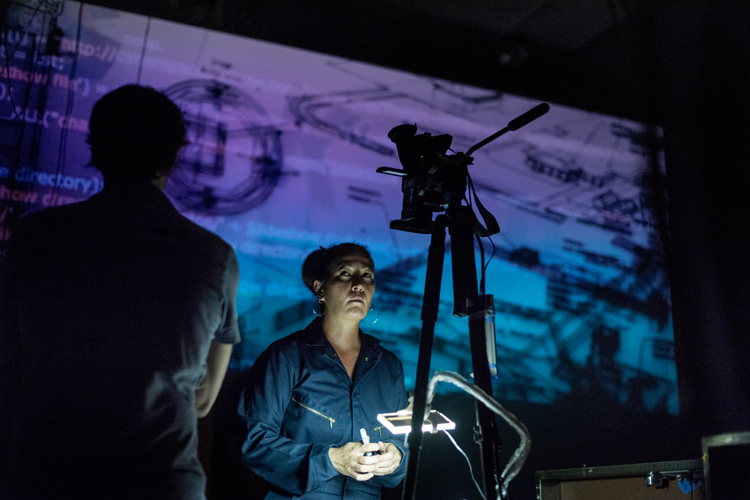 Sound House (everyone is working) is a multidisciplinary durational performance conceived by theater/film artist Janie Geiser and composers John Eagle and Cassia Streb, and created in collaboration with an ensemble of designers and performers, including video designer Hsuan-Kuang Hsieh, lighting designer Chu-Hsuan Chang, and scene designer Vincent Richards. 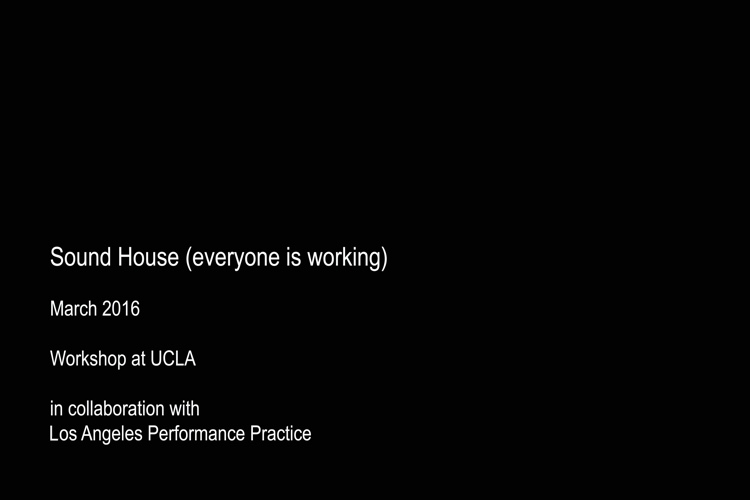 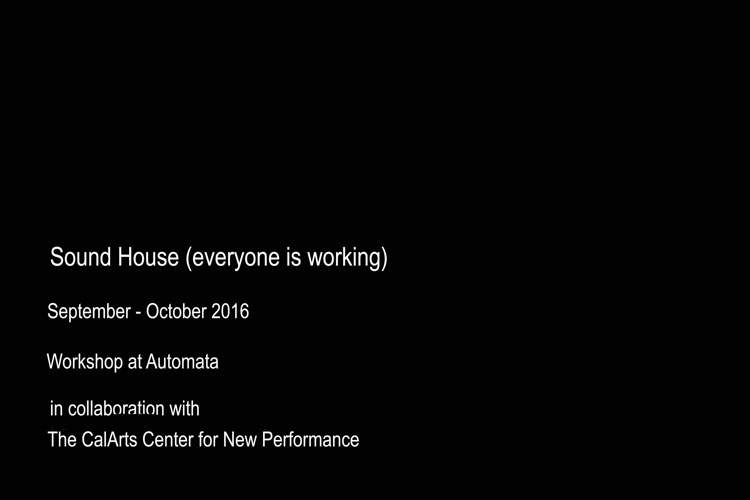 Currently in development, Sound House will be presented by Automata in collaboration with the Center for New Performance in Spring 2018. 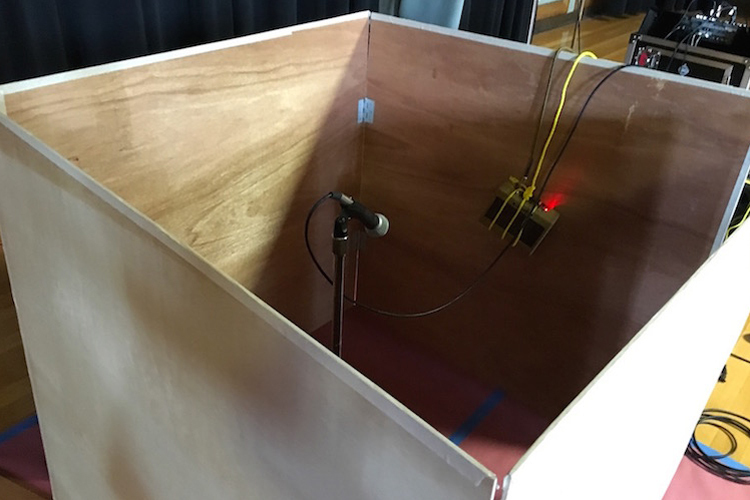 Sound House centers on a series of tasks that shape the sound in the room. 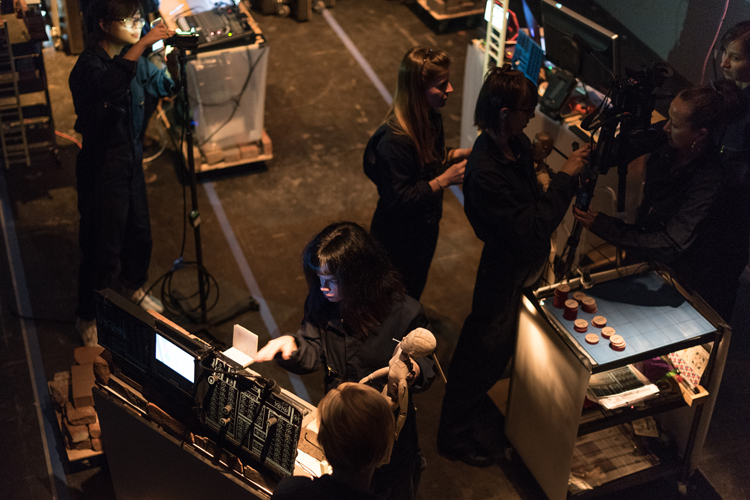 These tasks–performed by the ensemble manipulating objects, controllers, lights, walls, Bunraku-like puppets, live-feed video–emerge from our interest in the daily routines of the Minuteman Missile technicians, who work in hidden underground launch facilities operated by the US military since the 1960’s. 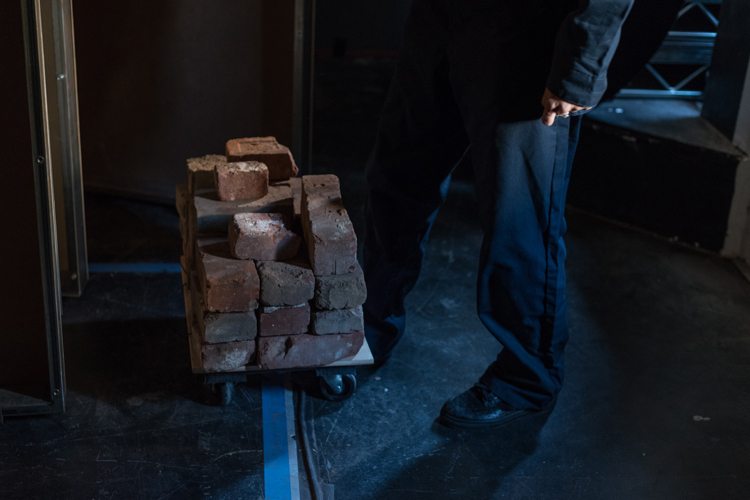 Minutemen technicians maintain readiness at 450 nuclear missile silos, located beneath innocuous brick structures across the West. 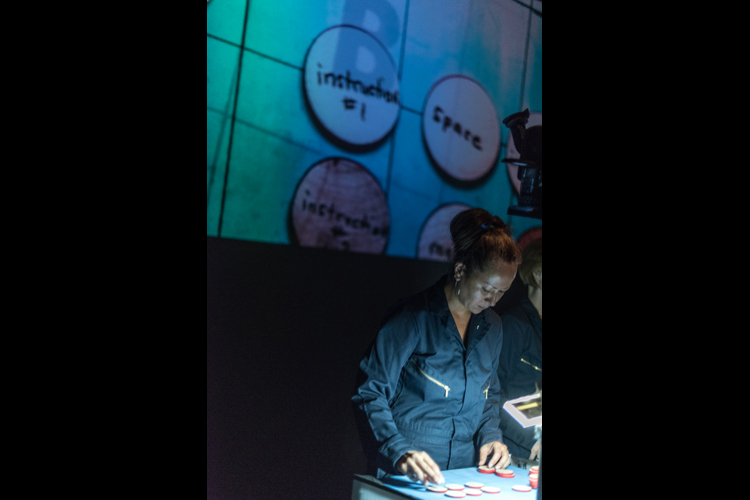 In these isolated underground facilities, they memorize instructions and practice launch procedures, filling extensive idle time playing games, reading, napping. 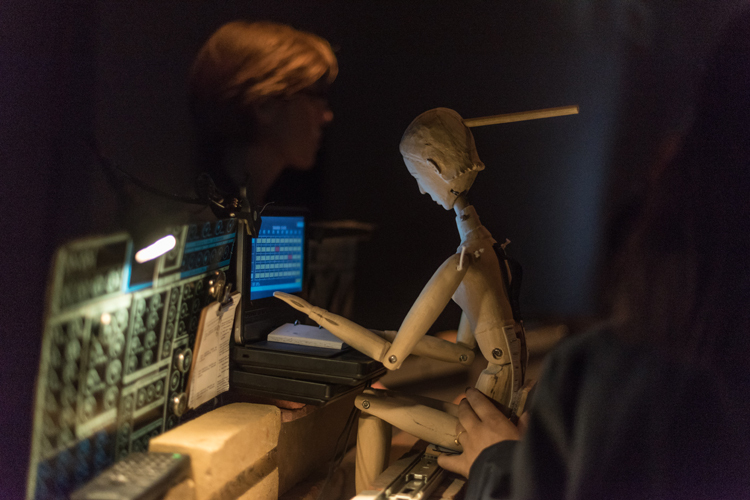 Performers and puppets in Sound House are similarly occupied with practical work (rehearsing procedures, bricklaying, coding) and idle tasks. 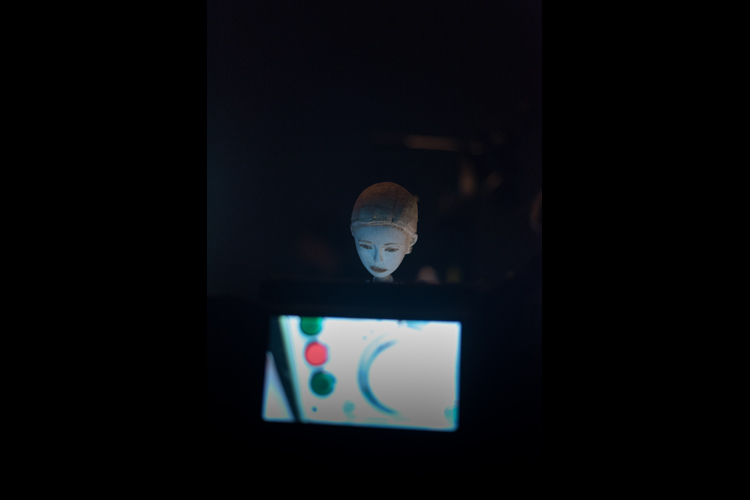 There is an inscrutable tension between these two realms of activity that moves us, and is critical to our investigation. 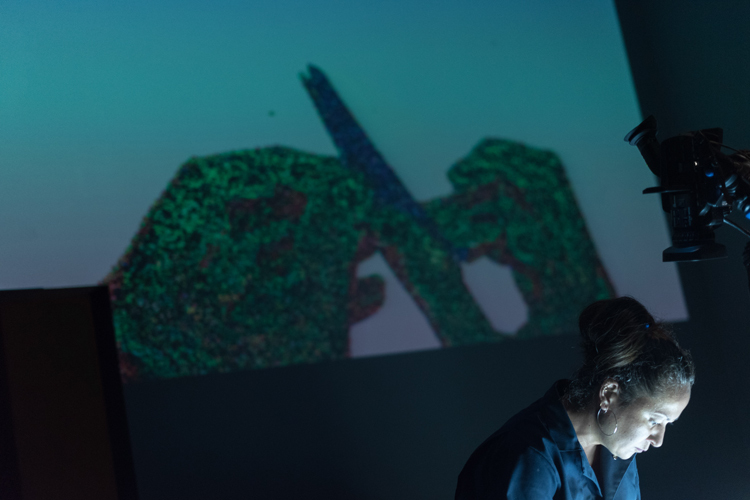 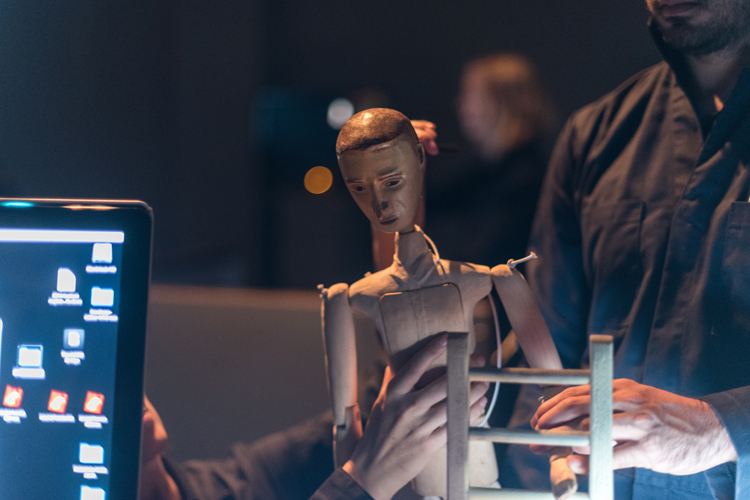 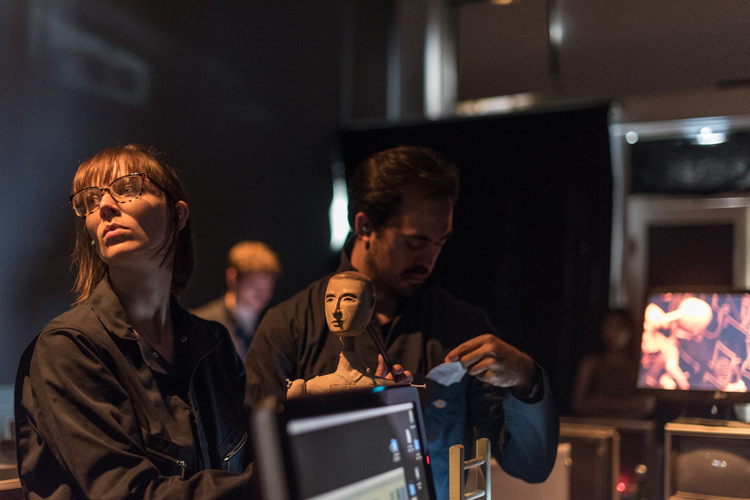 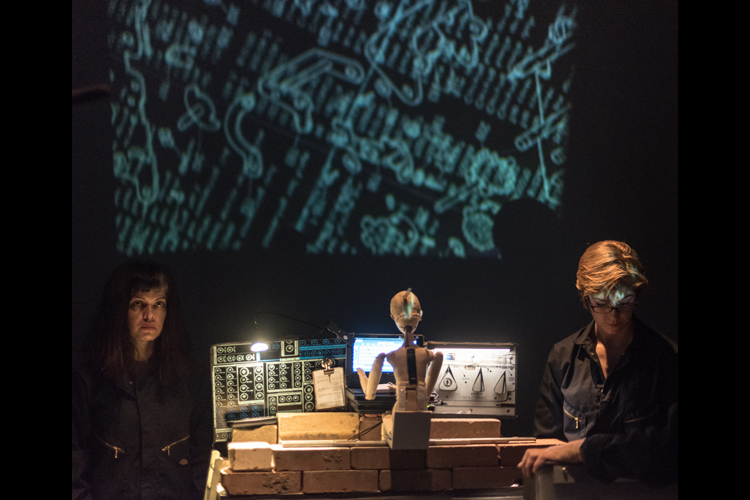 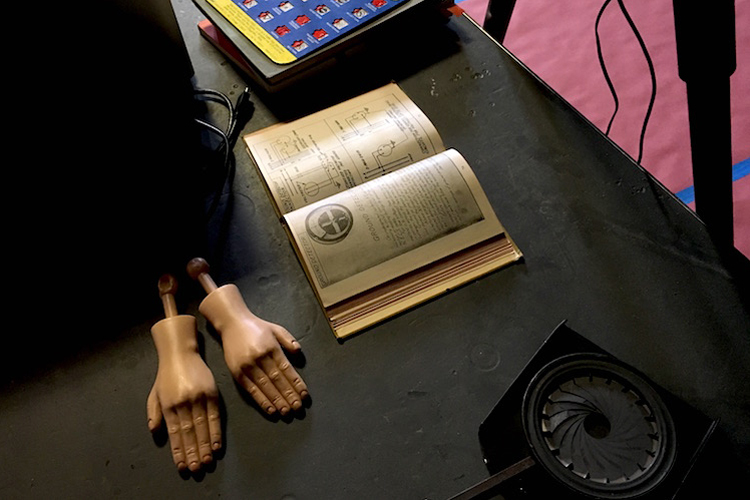 Sound House synthesizes old (puppetry, bricklaying) and new (physically-responsive audio systems, coding, live-mixed video) technologies, where all modes of operation are visible and networked in expansive ways, heightening interactivity among puppets, performers, sound and video. 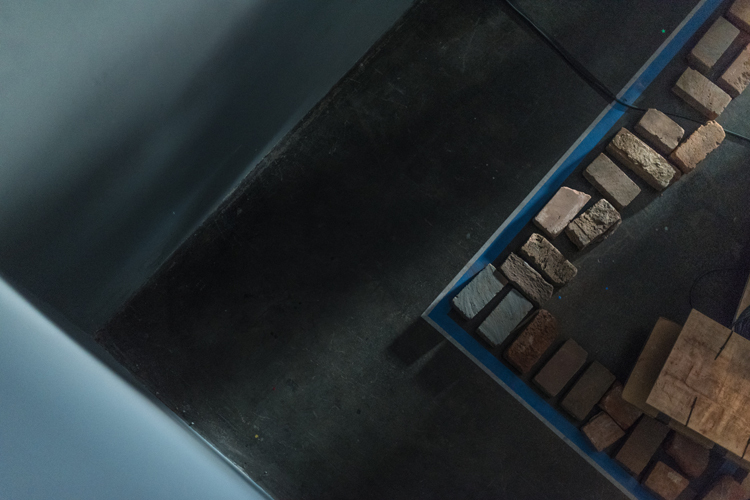 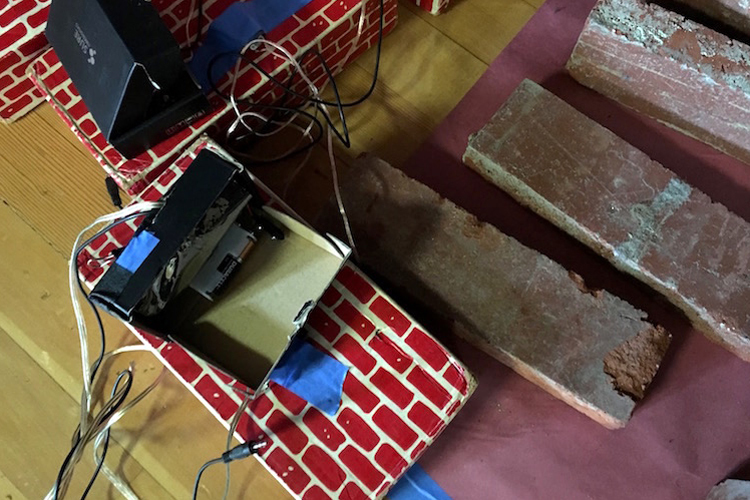 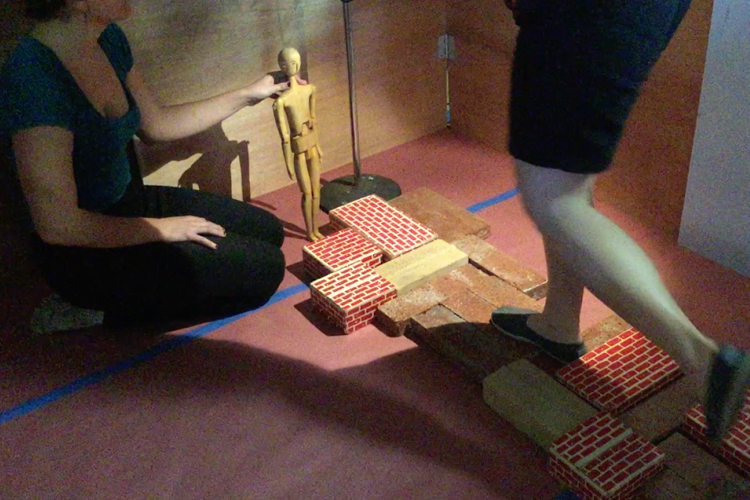 The task of building a brick structure forms a core measurement of time in Sound House, and recreates the entrance structure used by the Minutemen technicians to enter the underground launch facilities. 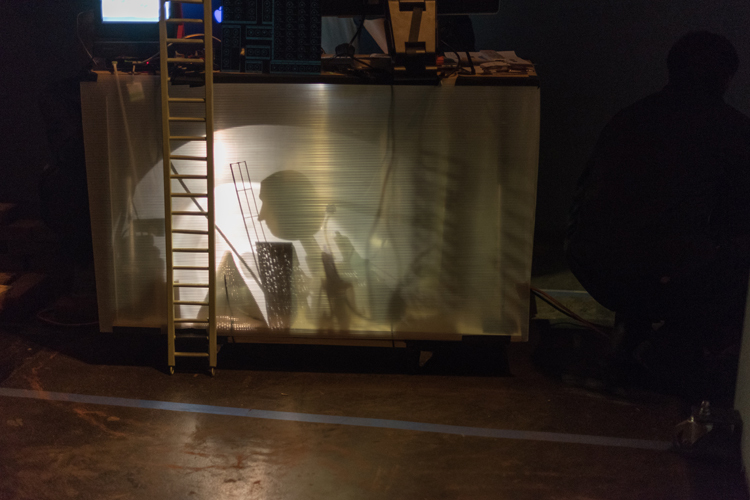 Eight modular walls (3.5’ square) are embedded with microcomputers, sensors, and speakers that communicate wirelessly. 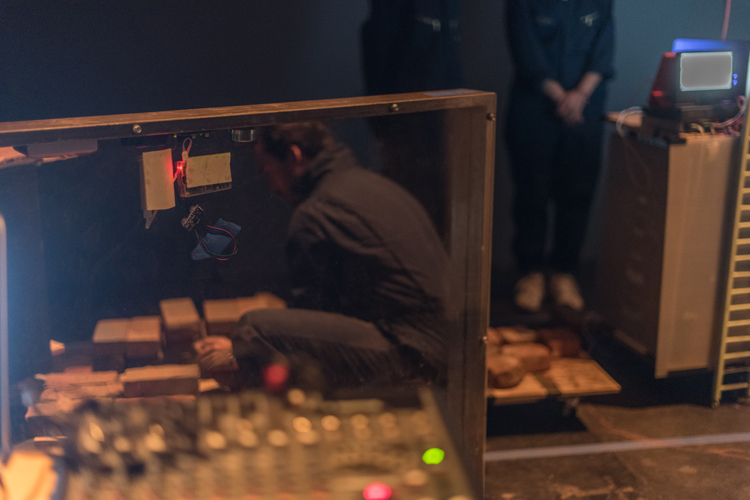 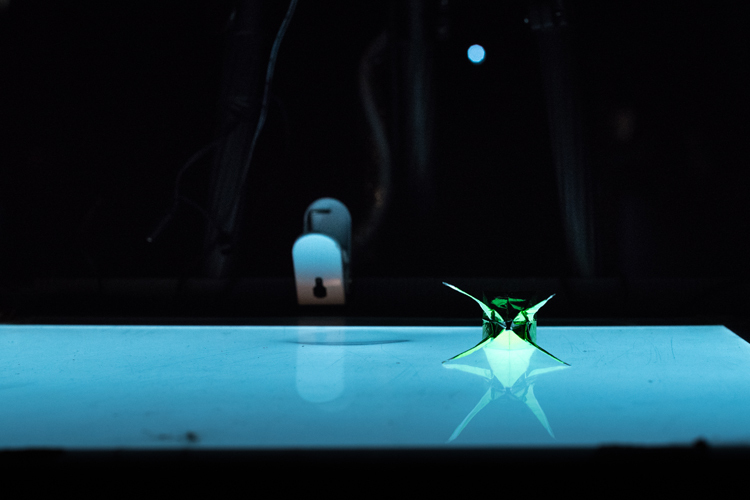 Codes generated by performers and puppets are sent to the speakers, signaling instructions to performers arranging the walls, and transforming physical and sonic space. 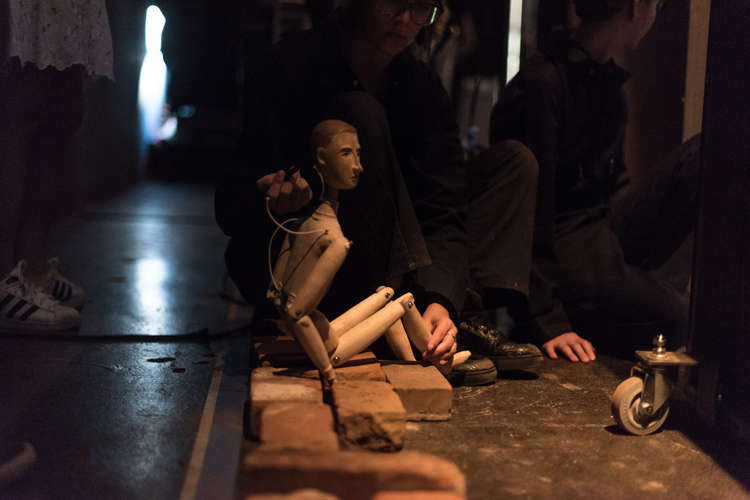 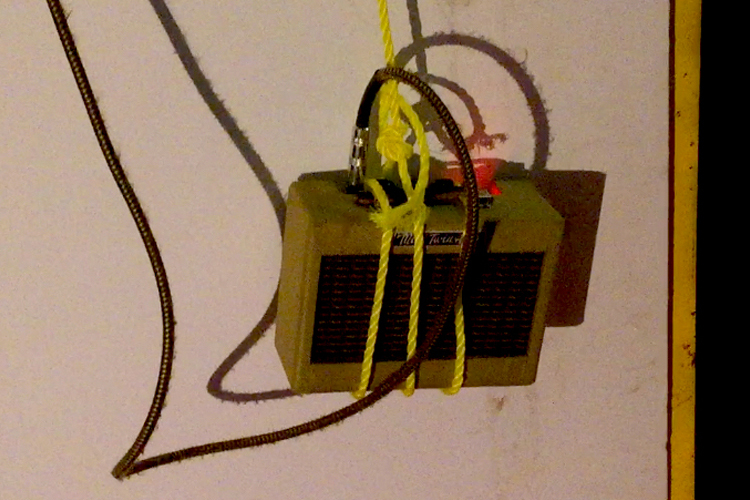 A feedback loop between the walls and microphones placed inside the puppets tracks their movement, providing rich sonic material. 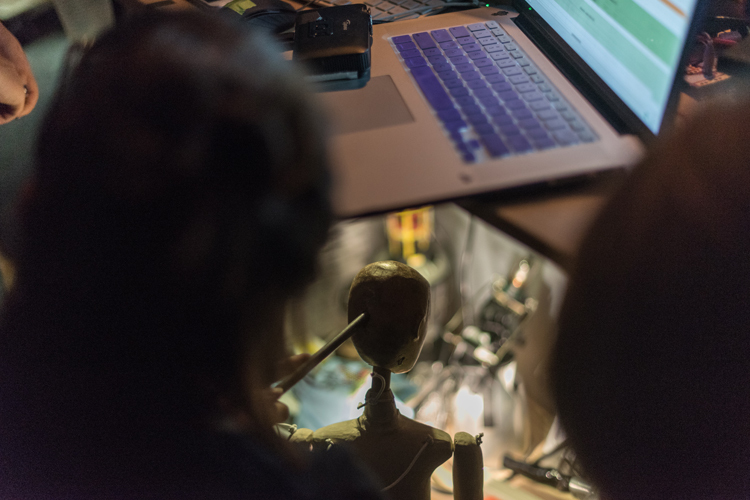 Using only the sound in the room, this feedback emphasizes the puppet/technicians’ interactions with the environment. 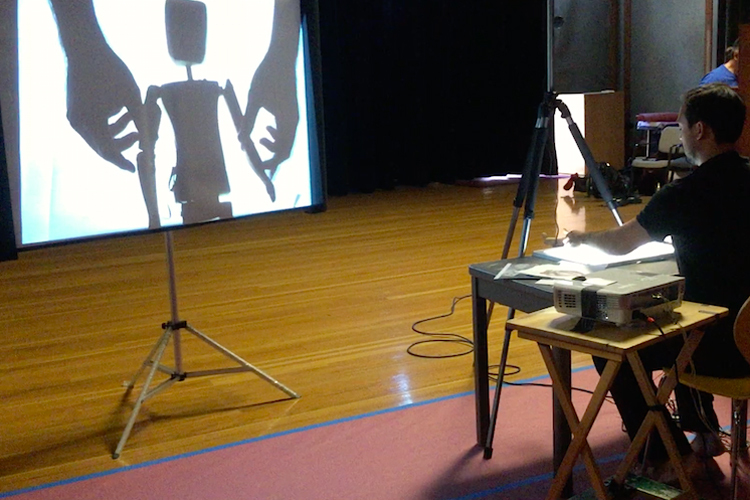 The tasks of coding, listening and inspecting mirror the Minutemen routines. 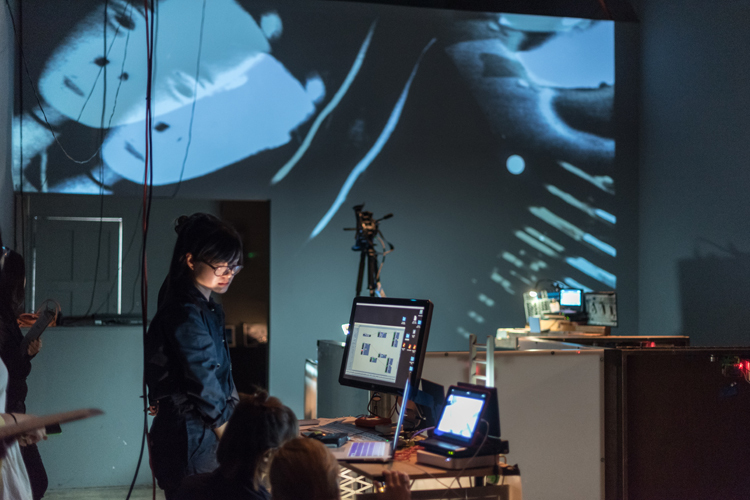 The effect is one of focused activity, like a NASA control room. 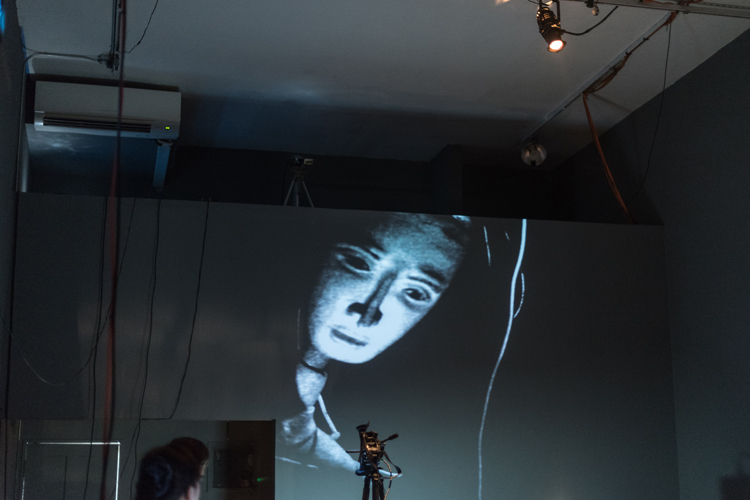 Performers follow a running stopwatch. 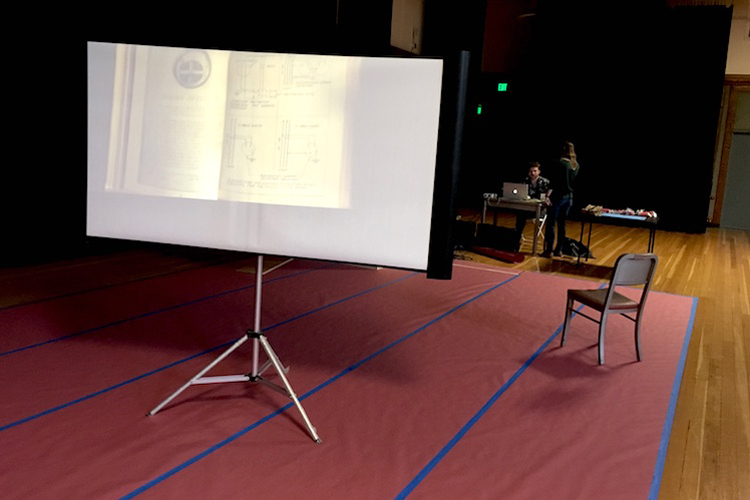 Live-mixed projection amplifies tasks and provides information. 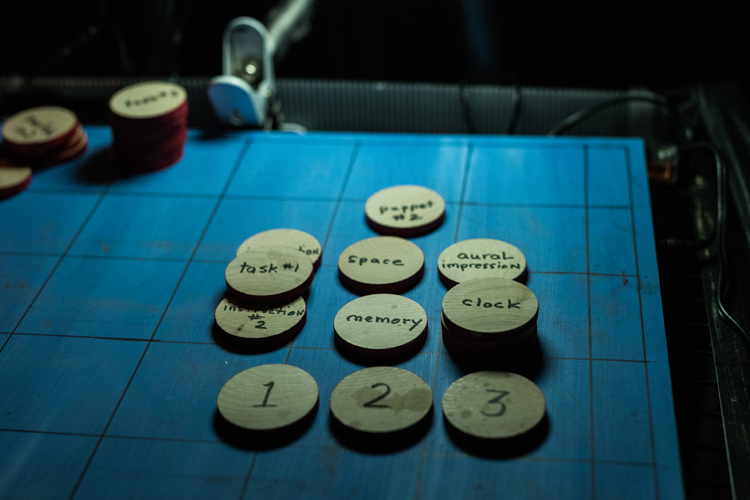 Meaning emerges through form, accumulation, and association.